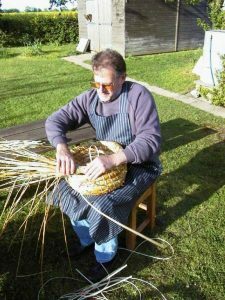 Once the feeding is all done and the feeders removed, beekeeping becomes a more relaxed pastime. 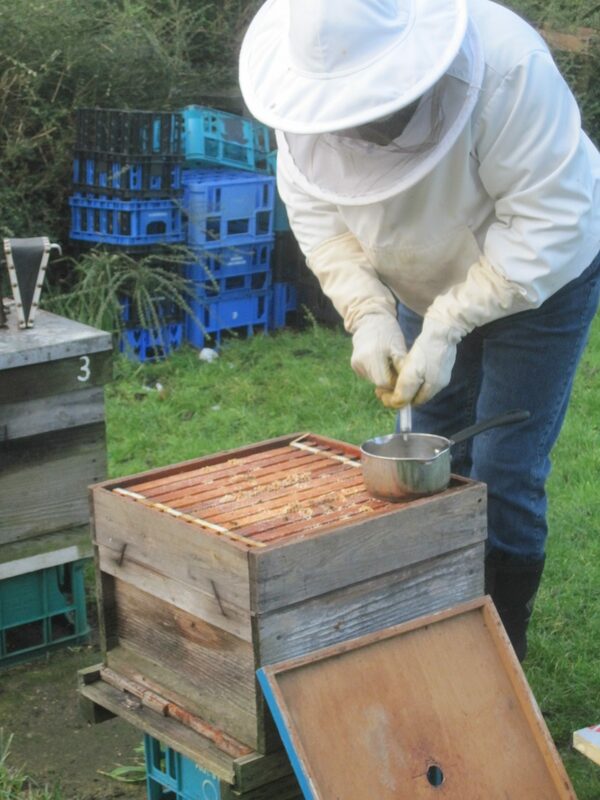 In effect, there is little to be done apart from the oxalic acid varroa treatment and repairs to equipment. Oxalic acid will achieve an approximate 95% knock down of varroa. Not a complete cure but sufficient to seriously deplete their numbers before the brood rearing starts in earnest. I mix a 50:50 solution of sugar water and add 18.75g of oxalic acid dihydrate to the mix. This is then dribbled 5ml into each between-frame seam of bees. Having the crown board up on matchsticks makes its removal almost vibration free. 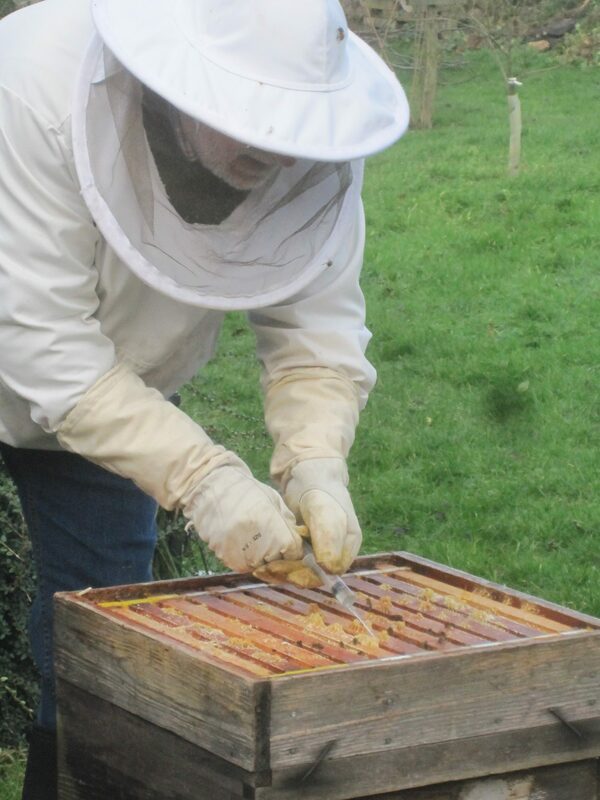 The acid will only kill the mites which are outside the brood cells and cannot touch any beneath a wax capping. 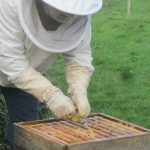 It is best therefore to do the treatment after a seriously cold spell which will have reduced the queen’s laying to almost nil. i.e. 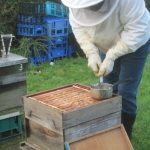 less sealed brood and hidden varroa. Each colony can be done in less than a minute and the hive quickly closed up again before the cluster suffers heat loss. The varroa trays go underneath just to give me an indication of efficacy. This treatment can only be done once a year as the acid burns the carapace (the dorsal exoskeleton) of the bee and must also burn the bee’s mandibles. In the workshop I have reinforced the bellows on the stainless-steel smoker, repainted the numbers on the hive roofs and made a new aluminium cover for roof 8.